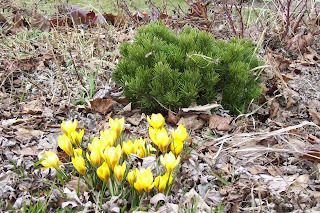 I've been growing two great newer Mugo Pines in my garden. The first one is 'Honeybun', which I've had since 2007. 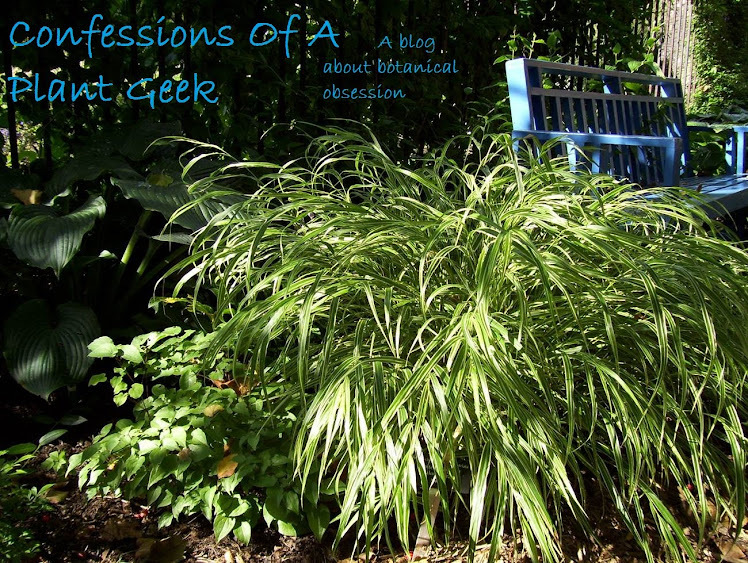 It's a dwarf variety with medium-green needles and a moderately slow growth rate. This variety was released in 2008 exclusively by Green Value Nursery. It's performed very well in my sunny front garden near the driveway, not bothered at all by the salt it gets hit with in the winter. It did open up in the center this winter, due to the wet heavy snow being thrown on top of it, but I'm confident it will grow out of it beautifully. 'Honeybun' is a great addition to the perennial garden, mixed shrub border, conifer garden, and even large trough gardens. The second variety, 'Dew Drop', is also being released exclusively by Green Value this spring. It's even smaller and slower growing than 'Honeybun', and is in fact the smallest Mugo Pine I've had the pleasure to encounter. Last years growth on this beast was about 1 cm. The habit of this variety is so tight and compact, that when I peaked into the center there was moss growing on the branches! 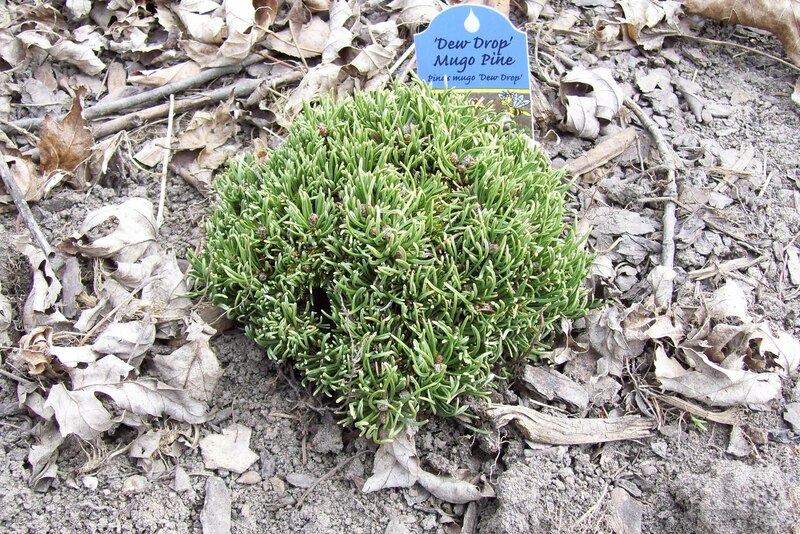 'Dew Drop' is perfect for nearly any size container, as well as perennial gardens, and conifer collections. I never thought I'd be even remotely excited about a Lamium. But 'Cosmopolitan' is different. It's a dwarf version of 'Shell Pink' that only gets 3-6 inches tall, rather than 8-10 inches like so many other varieties. 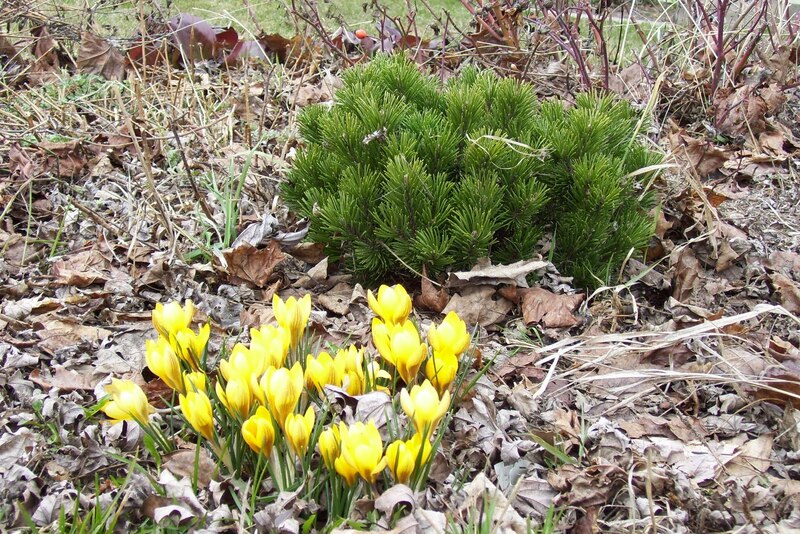 The flowers and foliage are the same as its parent plant, but smaller as well. The nicest thing about this variety is it doesn't have the leggy growth of the larger lamiums. The internodes are shorter, making for a much fuller plant without pinching. It just looks neat, which is something that can't be said for other Lamium varieties. Comparison shot of 'Cosmopolitan' and 'Purple Dragon' planted and pinched at the same time. 'Cosmopolitan' makes a great groundcover for the shade that helps smother weeds, but because of its more restrained habit won't fight for territory with other plants in the garden. 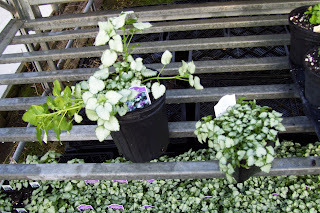 It's also great in combination containers and hanging baskets for both flower and foliage effect as a restrained spiller.